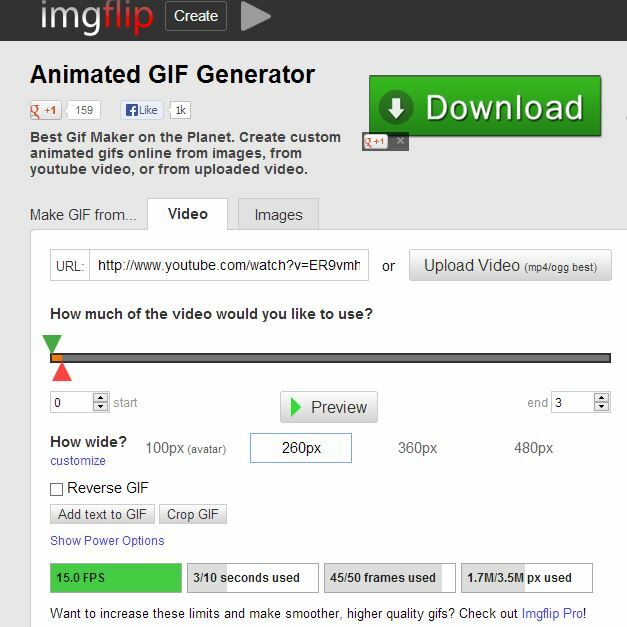 Today I am going to share some the best tools to create GIFs from YouTube videos in a few minutes. It’s very simple and easy. This tool doesn’t need any log-in or sign up. Just visit the website and put the URL of the YouTube video from which you want to make a GIF. Add the starting time of your GIF and ending time. If you want to keep the size of the GIF small, keep the Quality low. After filling everything required, just hit the create button and that’s it. The GIF will be served to you with in a few moments. The only turn off with this tool is the large size of the GIF, which increases the loading time. This tool works fast, requires no log-in or signup, It also have option of ‘preview’ which lets you check the GIF before publishing it. It saves a lot of time. 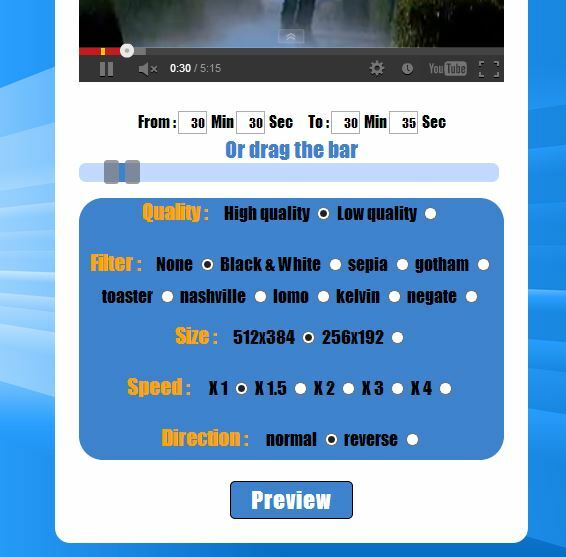 Also, It serve GIFs in lesser size which decreases the loading time. It works with a set of images as well. The result I got after using this tool was satisfactory. Extra points to this tool for ease of usability and the swift processing time. 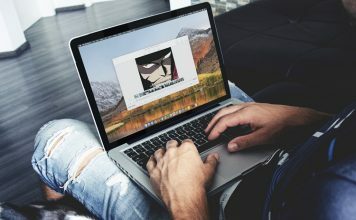 This tool also doesn’t need any sign-up for creating GIF from YouTube videos, however It is slow as compared to the other tools. 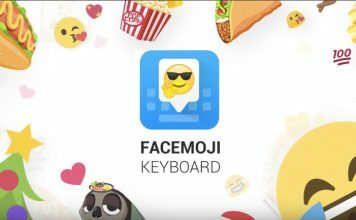 It provides an option for adding text along with the GIF but the large size of GIF image is a turn down. Though you can control the size by compromising on clarity but up to a limited extent. The tool’s processing is slow but its versatile, if you are patient, this tools is for you. 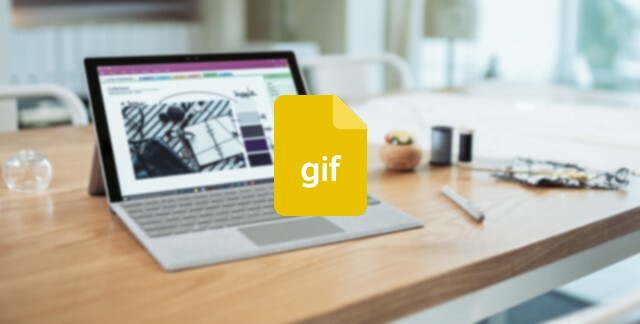 So, now you know how to create GIFs from YouTube videos without even downloading them, go and create a humorous GIF and comment below with the link to it.